During the past several years, much has been written about a preparation called Platelet-Rich Plasma (PRP) and its potential effectiveness in the treatment of pain and injuries. Recent research has shown increasing evidence for the use of PRP for arthritis and knee pain in addition to soft tissue injuries. Many famous athletes — Tiger Woods, tennis star Rafael Nadal, and several others — have received PRP for various problems, and many have credited PRP with their being able to return more quickly to competition. PRP helps patients heal and recover from chronic pain and/or injuries of the tendons, muscles, ligaments, cartilage, nerves and more. The treatment is safe, non-surgical, and does not even use drugs. With PRP injections, the patient’s own blood platelets are the healing agent. Dr. Sforzo, Dr. Dillingham and Dr. Stewart can help you get back in the game with fast-acting, highly effective platelet-rich plasma therapy. Learn more below about this revolutionary alternative to steroid injections and surgery. The idea behind PRP therapy is relatively simple on the surface, but a working knowledge of your body’s natural repair functions can make PRP easy to understand. During your appointment we will perform a basic blood draw. The blood is placed in a centrifuge that separates the platelets and plasma from the red blood cells. After about 5 minutes, the platelet-rich plasma is removed from the centrifuge. Using ultrasound guidance, your physician will inject the platelet-rich plasma into the injury site. The high concentration of platelets is loaded with growth factors, which expedites the healing and recovery process. This entire procedure is done in-office and takes about an hour to complete. This will depend on the specific condition being treated. We will often recommend a series of 3 to 5 injections. Natural healing. Your body provides everything that is needed for its own healing. 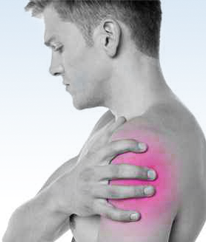 PRP therapy involves very few complications and risks. Plus, the entire procedure is done in-office on an outpatient basis. 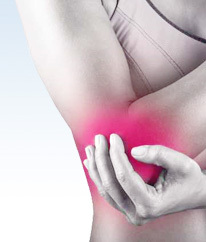 Joint pain, including osteoarthritis of the knee, hip and shoulder. 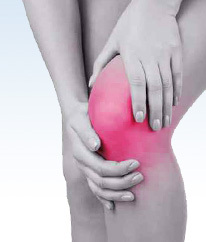 Ligament Injuries, including sprains, strains, and injuries to the MCL and LCL in the knee. Meniscal tears and labral tears in the shoulder, hip, and more. Stress fractures, plantar fasciitis, turf toe, shin splints, and general knee pain may be treated as well. Please ask Dr. Sforzo, Dr. Dillingham or Dr. Stewart if PRP is a treatment option for you.